About 2 months ago, popular American rapper, singer and songwriter, Snoop Dogg let us in on his journey into Christian music as he prepared for the release of his debut Gospel Album. The 32-song album titled Bible of Love was released on the 16th of March and as expected, the critics are fast weighing in on the validity of such an album from Snoop Dogg. The arguments against the album are two-fold. First, that this is more about making album sales than proclaiming the faith and gospel of Jesus. Secondly, that Snoop Dogg has not shown enough behavioural repentance to be able to present a gospel material to the world. But, Snoop has got word to set the records straight for both ends of the line. 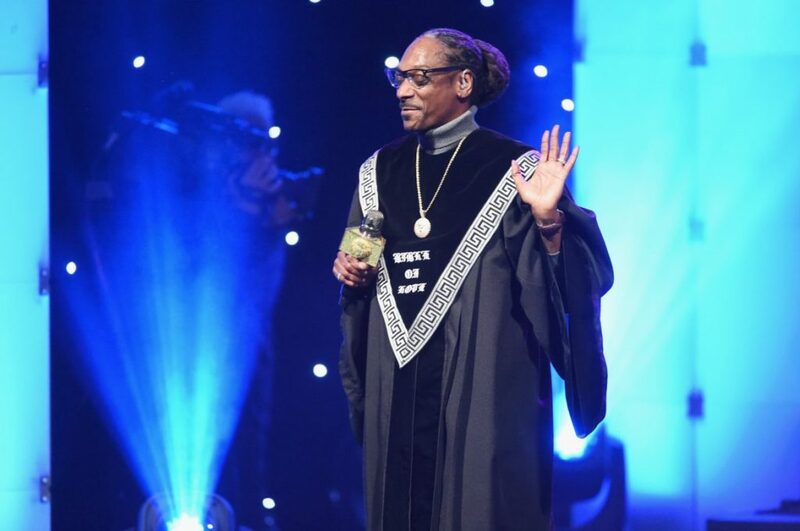 “I thought the church was supposed to welcome sinners,” Snoop says in his interview with TV One after his performance at the 33rd Stellar Gospel Music Awards. Anyone who cared enough to do a background check on Snoop Dogg would have discovered that his mother, Beverly Broadus, is an evangelist who travels and preaches. The album also featured some gospel musicians such as Tye Tribbett, Fred Hammond, and B. Slade (formerly known as Tonex). So, when Snoop Dogg says this is a return home project for him, we totally understand what that means. Snoop Dogg might not be one of our faves in the gospel music industry and probably theologically, but he has presented some solid points that the church needs to look into quite critically. This is beyond Snoop Dogg or the Gospel album, it’s more about our rather quick to condemn nature. And we would have given him a rousing ovation for that interview except that towards the end, he turns to the camera, addressing the viewers and says: “What about you? Have you checked your status? Are you going to heaven? Why are you judging me? How much have you done for the Lord?”. It was at that point, Snoop missed the point. The conflict has never been about heaven, hell or “works” done for God. But, who knows? Bible of Love might just be a step in the right direction for Snoop Dogg. Or isn’t it?